NE Kids School House Twin Privacy Panel in Pecan by NE Kids at Indsight. MPN: 6585. Hurry! Limited time offer. Offer valid only while supplies last. Features: Finish: Pecan; Hides the side of storage drawers from view while looking at the bed from the foot; Used with NE Kids Schoolhouse Twin Beds. 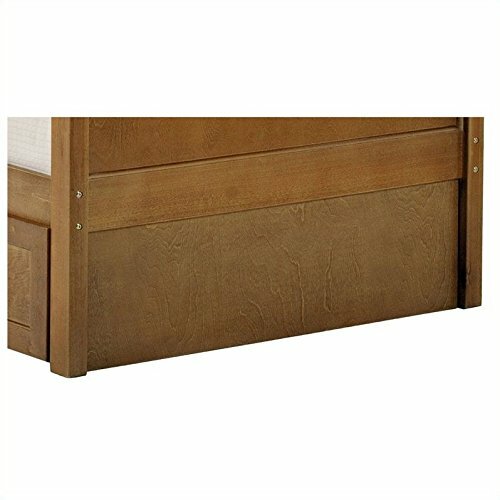 Features: Finish: Pecan; Hides the side of storage drawers from view while looking at the bed from the foot; Used with NE Kids Schoolhouse Twin Beds. Specifications: Overall Product Dimensions: 11.35" H x 37.75" W x 0.75" D; Product Weight: 4 lbs.